Stark Builders, Inc. offers Chicago and the surrounding areas a large selection of professional new construction and renovation services. From day one our goal has been to provide our clients with superior quality products and unbeatable building services. You can count on us for all of your construction needs. We are a professional team of building experts and every member holds customer satisfaction in the highest regard. The kitchen is the most popular family gathering place in the house making it the heart of the home. We are highly trained to perform many types of kitchen remodeling services. Our team can complete minor repairs or bring the entire kitchen into the current age of technology. Call Stark Builders to visit your home and inspect your kitchen today. We can renovate the entire room or custom build additional cabinet space. We can even add a kitchen to your basement for those large family celebrations. We are well aware of the procedures as well as the required local and state building permits. There are all sorts of reasons to renovate your bathroom. Whether you are simply bored with the current style or you want a more modern bathroom, we are here for you. We will be happy to discuss your family’s plans and ideas with you. Our professional remodeling services cannot be matched by any other team in the construction business. Remember that remodeling your bathroom can also raise the value of your home in the event you decide to resell. Stark Builders, Inc. offers our clients in the greater Chicago area a wide variety of flooring services. One of our team members will assist you in locating the lowest cost for your materials on the market. We will guide you along your project path and provide corner cutting, cost saving tips without sacrificing your satisfaction. We can send someone to perform small flooring repairs or an expert team to install hardwood in your family den. Rest assured that our team will discuss all of the details with you and lend a hand in your purchase decision to ensure you only receive the absolute best quality materials. Most home owners do not realize how complex ceramic tile installation can be. It is often a very tedious project which requires a steadfast determination and a world of patience. Stark Builders, Inc. consists of knowledgeable individuals who are exceptionally experienced in ceramic tile installation. Our team is waiting to present your sensational options to you and your family today. Your budget will be reviewed by our team to determine what route suits your individual situation best. We guarantee that you will never find another installation team as dedicated to your satisfaction as we are. Our Stark Builders, Inc. crew provides clients with professional painting and drywall services which are extremely cost effective. We fully realize that money does not grow on trees and your family works hard for it. We can supply careful guidance, expert advice, and responsive service because we firmly believe you deserve the best. Allow Stark Builders to shoulder the responsibility of your painting and drywall projects. No job is too simple or complex for our highly experienced team. We will come to your home, even if all you need is some minor patchwork. Call one of reps today. Home owners tell us that there is no project more exciting than refinishing a basement. There is a dramatically varied range of wonderful ideas. This is also a project which can at times present some troubling challenges. Our team can take care of all of the purchase and design details eliminating the frustrating and leaving only the excitement. Our well trained team can transform your basement into a home office or family fun room. 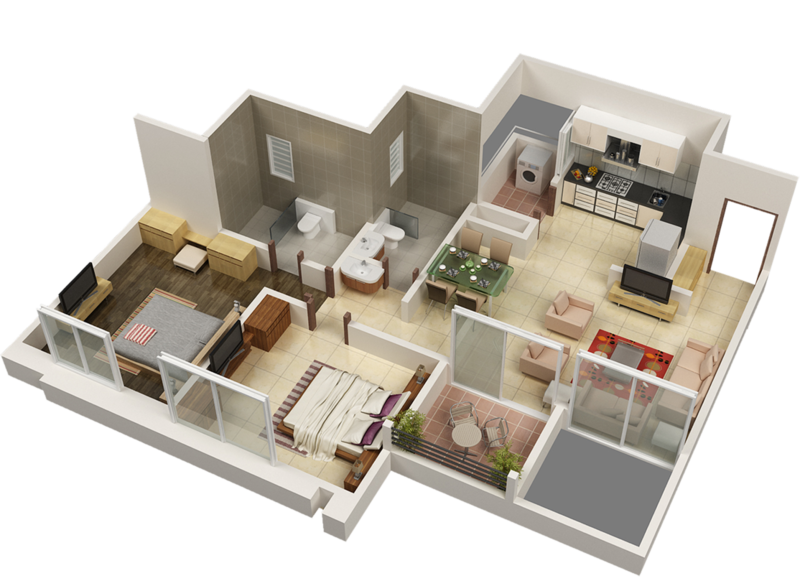 We can also convert it into a beautiful apartment for your college student or to help you generate additional income. We are familiar with all of the Chicago area building codes and regulations. You can set your mind at ease by placing your trust in our competent and capable hands. We will never let you and your family down. You and your complete satisfaction are at the very top of our priority list. Let us transform your basement into a dream from top to bottom. Stark Builders, Inc. provides comprehensive roofing services to our neighbors in Chicago and the surrounding areas. Your roof may be your home and family’s most effective defense against the harsh weather elements. We understand the potential for severe weather here in Chicago. Our team will provide your family with roofing options that protects them and your home. We can also handle all of your roofing maintenance and repairs. Call us to come out and inspect your roof now. Our team at Stark Builders, Inc. offers expert deck installation and porch construction services. Adding a deck or porch to your property will quickly drive the value of your home up. It is one of the most cost effective options available. These types of structures take much less time and money than other forms of home improvement. They also have one of the largest ROIs of any investments. Contact Stark today and ask us about your next new building project. Stark Builders, Inc. offers an extremely diverse and exciting array of professional building services. Our number one objective is your ultimate satisfaction. We are happy to discuss any type of home improvement project from new construction to maintenance and speedy repair. We offer the best value for your dollar found anywhere in the Chicago area.